KUWAIT CITY, Nov 7: The Gini Coefficient of Income Distribution has revealed that Kuwait's income inequality for 2018 is 80.9 percent. 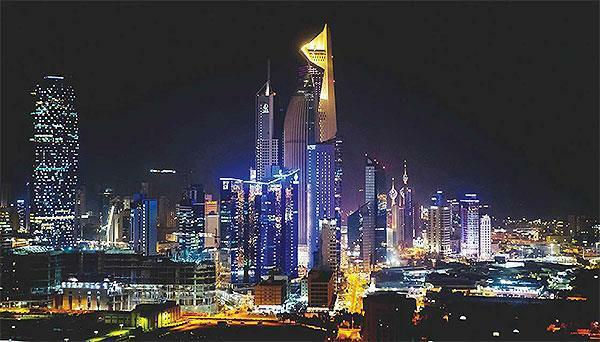 Credit Suisse report for the annual global wealth of 2018 also ranked Kuwait third in the Gulf after the UAE as the largest foreign country in the income distribution followed by Saudi Arabia, while Oman ranked fourth and Qatar last, but it did not include Bahrain, reports Al-Anba daily. The Gini Coefficient ranked Qatar first among the best countries within the Arab world in terms of equal distribution of income with the lowest rate of inequality in the distribution of 61.5 percent. However, Egypt came top among Arab countries contained in the report of Credit Suisse in terms of inequality in the distribution of income by 90.9 percent to rank fourth in the world, followed by Lebanon with 88.9 percent in second place in the Arab world and fifth in terms of inequality in income distribution. Globally, Ukraine ranked the most imbalanced in the distribution of income to citizens by 95.5 percent according to Gini Coefficient, followed by Kazakhstan with 95.2 percent and Thailand with 90.2percent, while the United States exceeded all Gulf countries with an unequal distribution of income of 81.4percent, which is the same percentage of the Arab countries most unequal income distribution. The Gini Coefficient is one of the most common indicators of equality in the distribution of national income to citizens. It was launched in 1912 and used by many international organizations, particularly the World Bank. The index ranges from 0 to 100 percent, and 0 percent means equal distribution among citizens and 100percent is the largest percentage of inequality in the distribution of income among citizens. Credit Suisse issued its report last October, in which it pointed out that the Swiss are the most stable and wealthiest people around the world. Despite a slight decline in their wealth, the Swiss still have the highest average per capita wealth, according to the Credit Suisse Global Wealth Report of 2018. The report estimated Switzerland's average wealth of $530,200 compared to $537,600 last year. The people of the Alps remain at the forefront followed by Australia with $411,000 and the United States with $404,000.